The Pearl Izumi Pro Softshell jacket is a new release for 2015, and sits towards the top of the brand’s extensive range of jackets. Offering half-decent protection in dry, chilly conditions, the Pro Softshell is unfortunately let down by its very poor fit. We’ll start on with the positives. As we experienced when testing Pearl Izumi’s overshoes, gloves, overshoes and bibtights in recent weeks, they can be relied upon to choose good windproof materials for their clothing. The Pro Softshell jacket is no different, with the 3-layer fabric protecting you against the wind, while also managing to keep out the odd rain shower. The interior is fleeced for a little extra insulation. 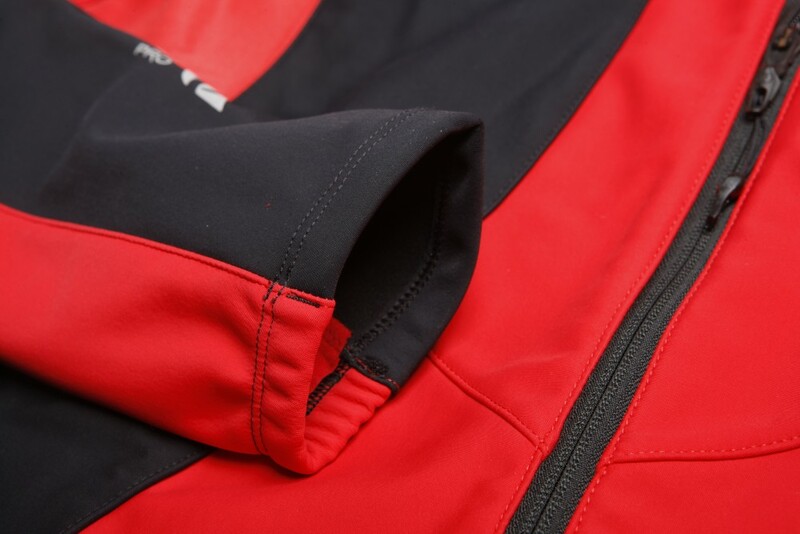 Other nice features include the numerous reflective touches for added visibility and the taped full-length zip, which is backed by draft flap for a little extra protection and also comes with a large tab on the zipper to make it a little bit easier to use with gloves. 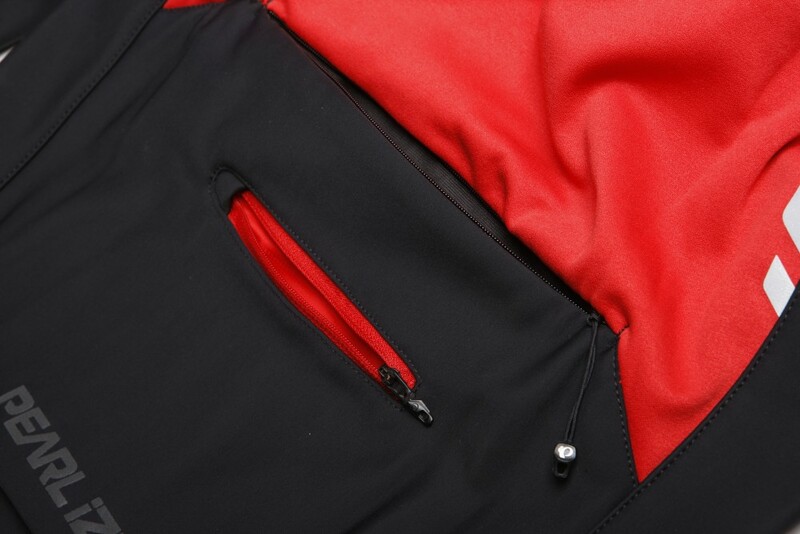 We also liked the zipped security pocket which is centrally positioned so as to prevent heavy items falling to one side. However, we weren’t so sure about the decision to only have one, large rear pocket as opposed to three smaller ones, which made it difficult to find specific items, especially when the pocket was full on long rides. In practice the fit was one of the worst we’ve experienced in a cycling jacket. The bottom of the Pro Softshell jacket was incredibly tight, so much so that only the most rake-like of climbers was able to do up the zip. In contrast the rest of the jacket, particularly the sleeves were extremely loose and billowey, meaning that the good work done by the windproof material was completely undone by the cold blast of air constantly being blown up the arms. This very poor fit is a real shame. Pearl Izumi have shown themselves very capable of producing excellent winter clothing, and the Pro Softshell jacket could be a very good jacket, if only anyone could get it on. For more details visit the Pearl Izumi website. The Pearl Izumi Pro Softshell jacket is warm enough to be a very good jacket, but is let down by a fit that makes it bordering on unusable.